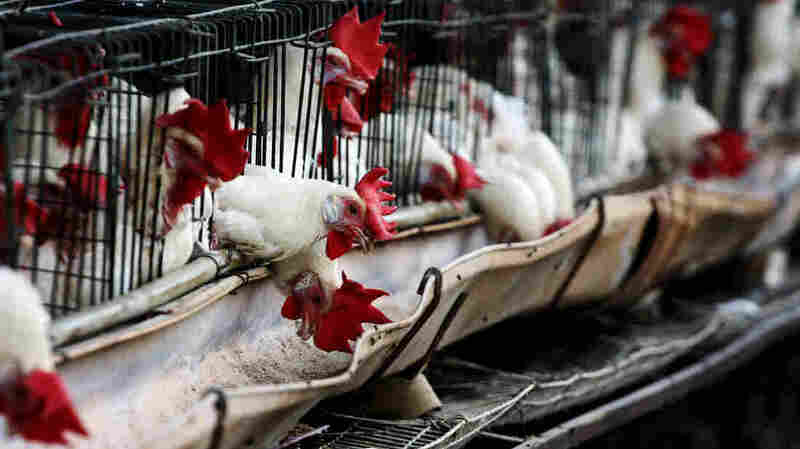 Bird Flu Researchers To Meet About Research Moratorium : Shots - Health News The world's top influenza researchers agreed to a voluntary moratorium on working with contagious, lab-altered forms of a particularly worrisome form of bird flu back in January. The hold was supposed to last just 60 days. It's now been more than six months, and scientists don't agree on what should happen next. Top influenza researchers around the world published a statement back in January saying they would temporarily hold off on any work with contagious, lab-altered forms of a particularly worrisome form of bird flu. The unusual voluntary moratorium was supposed to last only 60 days, but it's been more than six months. And scientists don't agree on what should happen next. Some scientists and researchers say these mutant bird flu viruses could cause a devastating pandemic if they ever got out of the lab. Others argue that the work is vital to help public health officials get ready for the possible threat of a flu pandemic that might emerge naturally, as bird flu viruses mutate in the wild. Flu researchers are going to New York next week for the annual conference of the government-funded Centers of Excellence for Influenza Research and Surveillance (CEIRS). Researchers who made the mutant viruses will be there, plus others who signed the voluntary moratorium. At a recent press briefing, Anthony Fauci, director of the National Institute of Allergy and Infectious Diseases (NIAID), which funded the controversial experiments, said that he intended to go to the meeting and "discuss in some detail with the group the kinds of approaches we can have to try and expedite as quickly as possible the lifting of the moratorium." But some ask, what is the hurry? David Relman, a microbiologist at Stanford University who was part of the group that advised the government on whether the details of the bird flu experiments should be made public, believes that "there is no particular reason to rush ahead right now, with what might be a very substantial kind of risk." Relman says if the moratorium was lifted right after the upcoming meeting, "I'd be concerned." He's not the only one who feels that way. Marc Lipsitch, an epidemiologist at the Harvard School of Public Health, says that research on these mutant viruses is potentially valuable. "But the risks are not to scientists. The risks are to the world," he says. "The risks are that one of these viruses gets out of a laboratory and starts to spread from person to person. And so the people who have something at stake are not the scientific community only." He thinks there needs to be a much broader conversation than has happened so far. "I'm a little disappointed that it hasn't been a very public discussion," says Lipsitch, who feels it's been mostly been within the flu research community. When asked to respond to this type of concern, Yoshihiro Kawaoka of the University of Wisconsin-Madison, whose lab did one of the recent bird flu experiments, said via email that "I recommend that those who have concerns should voice their opinions to NIH directly, rather than through the media." When an NPR reporter called NIAID to ask about attending next week's conference to report on the discussion, a spokesperson said the agency was not running the meeting and that it was up to the flu researchers. Adolfo Garcia-Sastre, a virologist at Mount Sinai School of Medicine who is one of the organizers, said "if we open the meeting to reporters, then there will be too many people. I don't think we can do that." He said he doubted the moratorium would be lifted at the meeting, because it was really not up to the flu community. He says flu researchers are still waiting for official word from the U.S. government about what kind of lab safety will be required for federally funded work, and what kinds of risk-mitigation plans will have to be submitted before experiments get done. All of that needs to happen before flu researchers could go ahead. Meanwhile, NIAID's Fauci says that when he talked about trying to "expedite as quickly as possible the lifting of the moratorium," he didn't mean to lift it quickly. "I really meant the expediting of a frank, open, clear discussion, instead of, you know, press-type sound bites back and forth. That's what I meant by expedite. Not that I wanted the moratorium lifted the day after the CEIRS meeting," Fauci told NPR. "That's not what I meant." Asked how the discussion could be open if the meeting was closed, Fauci replied that "you have to first start off with one step at a time. If the scientific community isn't even in agreement or even able to articulate with each other what it is they want to do, how are they going to express it in a way that the public can understand what it is they want to do?" But this kind of approach doesn't sit well with folks who want more transparency. "There are plenty of people in the public who are not stupid and are perfectly well able to understand the issues that are involved here and to decide whether or not they think this is a good use of taxpayers' money," says Richard Roberts, a Nobel Prize-winning molecular biologist at a company called New England Biolabs. He thinks the moratorium should be continued "until there has been a comprehensive debate about what should happen, not just some behind-closed-doors debate by a group of insiders who have a vested interest in seeing this research continue." By that Roberts means not just the flu researchers, but the government agencies that funded their work. He says officials need the outside world to think they made good decisions. "They have such an obvious conflict of interest that they're not able to represent the public," says Roberts. Fauci strongly disagrees, saying the National Institutes of Health has no conflict of interest here. "I mean that's a nice catchword, 'conflict of interest.' But the main mandate is that we really don't have any vested interest. We want to do the right thing," says Fauci. "These experiments were done for the thought of protecting the global health." At the time that the experiments were done, says Fauci, it was felt by program officials and by everybody else involved that the benefits of doing — and openly publishing — the experiments outweighed the risks. And he points out that a panel of advisers to the government ultimately agreed with that view, saying the work should be published in full. The public will be able to weigh in on these issues soon, says Fauci, when officials solicit comments on a new plan for overseeing certain kinds of experiments with high-risk pathogens. But some flu experts say there are bigger questions here that go beyond what's done in any one country — and that they need to be addressed at an international level. "The way that I see it is that all the discussions that are ongoing are not really hitting the nail on the head," says Ilaria Capua, an Italian flu researcher at the Istituto Zooprofilattico Sperimentale delle Venezie, Legnaro, who signed the moratorium. In her view, if this kind of work continues to get funded and published in the U.S. and Europe, the technology for making mutant flu viruses will get easier and easier, and more and more labs will want to do it. "And then we have 100, 200 labs around the world which contain in their freezers influenza viruses of high pathogenicity which are transmissible in humans," says Capua. "Is this what we want?" She notes that this proliferation could increase the risk of a lab accident, especially if work starts getting done in less stable regions of the world where political turmoil or natural disasters could compromise security. The World Health Organization is planning to have an open meeting next year that will address some of these issues. In the meantime, that agency has just released some guidelines for appropriate risk-control measures for research with these mutant bird flu viruses. "Given the potential of these newly developed laboratory-modified H5N1 strains to start a pandemic," the guidance notes, "it is important that facilities that are NOT able to identify and appropriately control the risks associated with these agents REFRAIN from working with them."